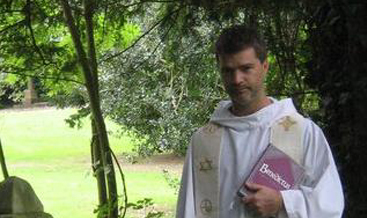 Mark offers a choice of traditional Christian funeral services and eclectic rituals including open air nature based ceremonies. He also conducts Green ceremonies held at Humber Woodland of Remembrance, a beautiful Green Burial Ground in Herefordshire. (www.humberwoodland.co.uk). Mark realises that many people who are spiritual cannot equate their faith with official religion. When they are faced with, for example, the trauma of planning a funeral for a member of their family, they often think there are only two alternatives: a formal Minister of Religion or a Humanist. 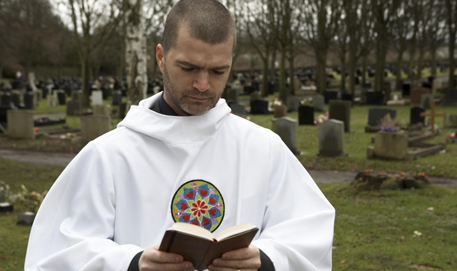 Some opt for the latter but, during the planning of the funeral realise that they want some prayers or a hymn. Mark‘s services offers an alternative for them.